The Premier Badminton League is back for its fourth edition and with it is back the fierce rivalry that has seen the tournament become a showpiece event of badminton internationally. Bringing superstars from all under the globe under one roof, the nine Premier Badminton League teams will see the sides compete in a total of 30 matches for a shot at the Rs 6 crore, mega prize money, the highest on offer till date that makes the tournament a bigger affair than ever. With the tournament set to explode the badminton circle, we bring to you the Premier Badminton League teams, their complete squads and everything you need to know about the premier event. 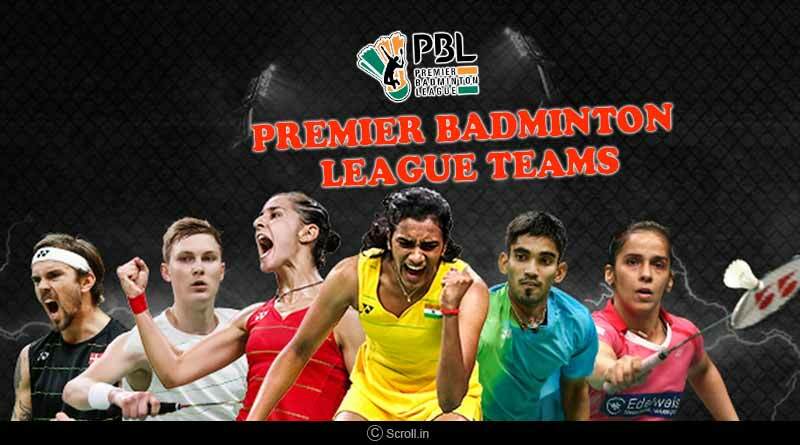 The auctions of PBL 4 held earlier this month saw teams being handed out at Rs 80 lakh budget for their icon players which included PV Sindhu, Kidambi Srikanth, Sung Ji Hyun and Lee Yong Dae. The auction was a fierce event as teams went at loggerheads, engaging in determined bidding to buy the best stakes on the market in a bid to put their best foot forward for the title. A total of 90 players will be playing in the tournament with each side having a squad of 10 players that see a mix of international and national star shuttlers, specialists in the men’s and women’s singles and men’s and women’s doubles categories. The league which is owned by BAI and is organized by Sportzlive sees the introduction of a new team in Pune 7 Aces for the 2018-19 edition to make it a nine-team affair. The nine teams competing at PBL 2018-19 are Ahmedabad Smash Masters, Awadhe Warriors, Bengaluru Raptors, Chennai Smashers, Delhi Dashers, Hyderabad Hunters, Mumbai Rockets, North Eastern Warriors and Pune 7 Aces. Teams: Ahmedabad Smash Masters, Awadhe Warriors, Bengaluru Raptors, Chennai Smashers, Delhi Dashers, Hyderabad Hunters, Mumbai Rockets, North Eastern Warriors and Pune 7 Aces.